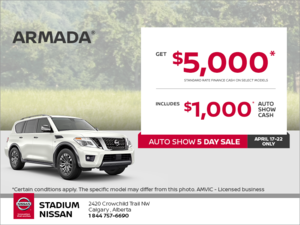 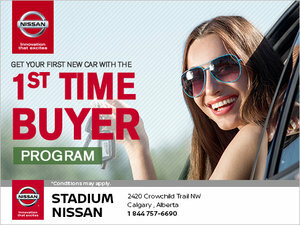 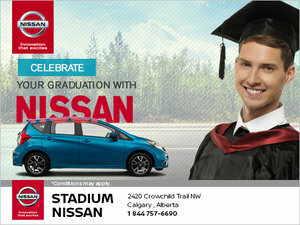 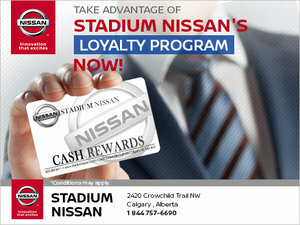 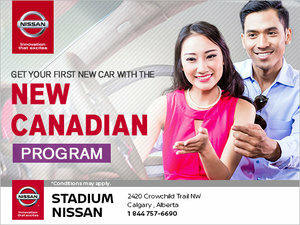 At Stadium Nissan, we like to thank our loyal clients in Calgary and throughout Alberta for trusting us with all of their Nissan product and service needs. 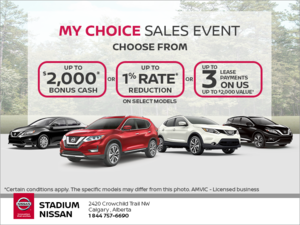 That’s why we offer great special offers on a wide range of new and pre-owned vehicles, as well as after-sales services including repairs and maintenance, bodyshop and detailing, and genuine Nissan parts and accessories. 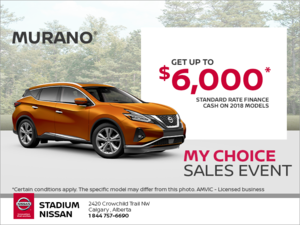 We also offer flexible financing solutions and low interest rates on the lease or purchase of new Nissan vehicles, as well as on the purchase of quality pre-owned Nissan models. 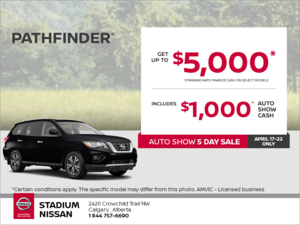 Our clients can also benefit from seasonal promotions on detailing and body care, as well as on a wide range of after-sales maintenance packages. 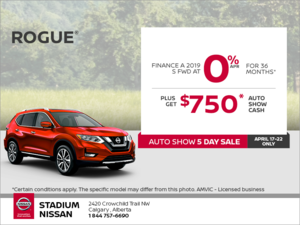 If you would like to learn more about our seasonal and regular special offers, discounts, or promotions, you can join our Facebook page or our newsletter to be kept informed of the very latest deals at Stadium Nissan. 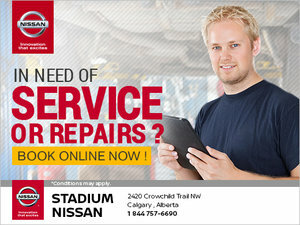 You can also check back to see updates on this page, or contact us at 1 844 757-6690, or online using our contact form or chat service.